There are headlines everywhere today about a study by researchers at Queen’s University Belfast, which included some worrying figures about the levels of arsenic found in baby rice and rice cakes aimed at very young children. Arsenic is a carcinogenic substance naturally absorbed by plants from soil and water, and as a result is found in many different food products in very low quantities. It’s known for being found in rice in particular – a grain which absorbs more than most. But the research, published in the Plos One journal, shows that little ones consuming these products have been exposed to higher levels of inorganic arsenic (the most harmful form) than allowed by EU regulations set in place in January 2016. Sounds pretty scary, right? But what does all this actually mean – and is there really any cause for concern? · 31 types of rice cereal. Notably, it’s been reported that products were tested in February 2016 – just one month after the EU regulations were put in place. A spokesperson for the British Specialist Nutrition Association, which represents manufacturers Boots, Danone and Nestle in this market, claims that because the products tested in this particular study were bought in February 2016, they may not have had time to become compliant with the EU’s guidelines. If they were to be bought now, the spokesperson made it clear that their members’ products would in fact comply with the allowed level of this inorganic arsenic. So, is it safe to give my child rice products? In a nutshell: yes, it is. But like all foods, it’s important to make sure it’s in moderation, and that they’re not being eaten all the time. Unsalted rice cakes are even listed as a healthy snack on the NHS website, so don’t feel panicked into crossing them off your shopping list. We’d advise you to give your little one baby rice cakes – ones specifically made for children under 3 – as these contain less arsenic than rice cakes for grown-ups, according to baby food brand Organix. When it comes to baby rice, we’d suggest giving these foods no more than once a day, and as we advised in our guide, suggest moving on from this stage early in the weaning process. It’s important to note that rice milk, however, is generally not recommended for children under 5 years as a precaution. And as Aisling tells us, the risk is very, very tiny. In other words – be aware of what you’re giving your little ones in terms of rice cakes and baby rice, but don’t ban them from your shopping list altogether. RICE industry stakeholders in the Visayas want an assurance from the government that it will help the local farmers in case prices of the commodity slumps, amid apprehensions on the possible adverse effects of rice tariffication. Provincial Agriculturist Japhet Masculino, who attended the consultation on rice tariffication for Visayas region in Iloilo City on Friday, March 1, said participants are concerned of the possible drop in the prices of palay due to the entry of cheaper imported rice. They asked Agriculture Secretary Emmanuel Piñol, who was also present at the consultation, about the concrete interventions of the government if worst case scenario arises, Masculino said. “Stakeholders want to include in the implementing rules and regulations being finalized by the National Economic and Development Authority the measures and assistance to be given by the government in case local rice industry will be affected by the rice tariffication measure,” he added. On February 15, President Rodrigo Duterte has signed into law the measure lifting restrictions on rice importation. Under the rice tariffication scheme, quantitative restrictions on rice importation are lifted and private traders are allowed to import the commodity from countries of their choice. It imposes a 25-percent duty on rice imports from the Association of Southeast Asian Nations member-states and a 50 percent rate on imports from non-members of the regional bloc. It can be recalled that the country’s economic team has been pushing for rice tariffication, saying this should bring down the prices of the country’s staple and weaken inflation. The Department of Agriculture has been doing rounds of consultations nationwide to make stakeholders understand the details of the rice tariffication and liberalization law. During the consultation in Iloilo City, Masculino said the agriculture chief vowed that the agency will support local farmers. Piñol, he said, is pushing for the lowering of interest rate in availing the Rice Comprehensive Enhancement Fund (RCEF). There’s a component that the farmers have to pay 10 percent interest to the Land Bank of the Philippines and Development Bank of the Philippines, Masculino said. “According to Piñol, it is too high. The interest rate for Production Loan Easy Access Program is only six percent,” he said, adding that the secretary echoed “we fought that RCEF is intended as grant for farmers in order to prepare them for the challenges brought by rice tariffication." He (Piñol) also assured Visayas stakeholders that there will be no corruption in the utilization of P10 billion fund for RCEF. “We hope that all these concerns along with other issues raised during the consultation will be considered by the government,” Masculino said. Moreover, at the sidelines of the consultation, the provincial agriculturist has made clarifications with representatives of the Philippine Center for Postharvest Development and Mechanization and Philippine Rice Research Institute that mechanization and seed distribution should be in the form of grant not as loan. “They validated, they agreed to it,” he said, adding that there’s a need to strengthen the local seed growers. The Provincial Government of Negros Occidental, through the Office of the Provincial Agriculturist, earlier said it is bracing for the possible effects of the newly-signed rice tariffication law among farmers in the province. Masculino said if the government can seriously implement mechanization by providing funds for purchase of machineries, it would be a big help because labor comprises more than 50 percent of the total production cost. It can be recalled that the province already funded P25 million for farm mechanization last year. MECHANIZATION of rice farms in the country will begin next year as the Philippine Center for Postharvest Development and Mechanization (PHilMech) can only begin procurement once it receives its budget, an official said. “Late this year or early next year,” Raul R. Paz, PHilMech Deputy Director, told reporters in a briefing in Quezon City on Friday, when asked when farm machinery will be delivered to the farmers. The equipment include transplanters and four-wheeled tractors, to be sourced from domestic manufacturers. Mr. Paz also said PHilMech needs more funding to expand its manpower and do the work expected of it under the Rice Tariffication Law. “As soon as the [funding] is released, we will be hiring,” Mr. Paz said. Mechanization will cover 57 rice-producing provinces which are deemed priority areas. DAVAO CITY — The Department of Agriculture (DA) will ensure that the rice industry will become more competitive as the Rice Tariffication Law comes into force. Under Republic Act 11203, the government will set aside P10 billion a year for six years to help farmers increase their productivity. The goal of the law is to make prices of domestic rice competitive with imports. The funding, which will be assessed after three years of implementation. The Rice Competitiveness Enhancement Fund (RCEF), as it is called, will be financed from tariffs on imported rice, which will be shipped in more freely under the law. Mr. Piñol said that with the continued improvement of rice production as new rice varieties develop, rice farmers will eventually be able to compete with the rest of the world. On the part of rice farmers, Balbino A. Alingalan told BusinessWorld that the government must, among others, help rice farmers organize themselves to better access funds from government. “If you run to formal lenders, even those in government, it is very difficult for you to borrow because they always ask for so many requirements,” he said. Mr. Piñol said the current pressure on rice prices is due to speculation that prices will fall, “borne out of fear by traders and millers that we will be flooded with imported rice from major rice exporting countries,” he said. He said the DA, as mandated by the law, will ensure that all importers are registered and issued Sanitary and Phytosanitary Import Clearances (SPSIC). He said the DA still ha the power to oversee imports and ensure that everyone follows the law. MANILA – With the implementation of the Rice Tariffication Law starts on March 5, the national government has assured that there will be no more smuggling of the staple food as importation will be open to everybody. “Rice tariffication will eliminate rice smugglers as anyone can now import rice, the importer just needs to get sanitary and phytosanitary permit from the Bureau of Plant Industry (BPI) under the new law,” said Finance Assistant Secretary Tony Lambino at the Pandesal Forum on Friday. Lambino said the main objective in opening up rice importation will benefit more than 100 million Filipino rice consumers as prices are estimated to go down by P2 to P7 per kilo. He also clarified that under the Rice Tariffication Law, importation needs no implementing rules and regulations (IRR) as importers need to get the necessary permits to ensure that the imported rice is of good quality. Meanwhile, Samahang Industriya ng Agrikultura (SINAG) president Rosendo So said the National Food Authority (NFA) imported 1.96 million metric tons (MT) with no tariff in 2018. With the new law, he said, all rice importers will have to pay tariff and the money collected will be given back to the farmers in the form of interventions or assistance. On the other hand, Lambino said despite lifting the quantitative restrictions (QR) on rice, the most important role of the NFA under the new law is on “emergency buffer stocking” to ensure rice availability in calamity-hit areas. “The NFA has an important role under the new law which is the emergency buffer stocking role, para kung may masalanta sa kahit saang lugar sa Pilipinas ay mayroong emergency stock,” he said. “The challenge for the NFA is to manage the (emergency) buffer stock well and to be logistics expert, meaning dapat makarating ang bigas doon sa mga lugar na pinaka nangangailangan (the supply should reach those who need them the most),” he added. Lambino also admitted that the rice trade was “mismanaged” and this resulted in debt of P145 billion by the NFA. “The inefficiency in the rice trade has resulted in two things — one, our farmers have not been supported to the level that they shoud be. Second, nagkautang ang taongbayan (the country was in debt) as of the latest count P145 billion due to NFA’s inefficient management of rice trade,” he noted. The government is keen on imposing a lower tariff rate on mechanically deboned meat (MDM) of poultry to further temper inflation, even as concessions are set to lapse on March 5, when the rice trade liberalization law takes effect. Deliberations on the petition of local meat processors to maintain lower tariffs on MDM are ongoing at the Cabinet-level Committee on Tariff and Related Matters (CTRM). Meat processors said lower tariffs would ensure that canned goods would remain affordable. “We could see from the data that meat products contributed to inflation. [The CTRM] will lift [the tariff rates] but they will not put it at 40-percent [level],” Sombilla said in an interview last week. Philippine Association of Meat Processors Inc. (PAMPI) urged the government last year to retain the lower tariff rate on MDM so that canned goods and processed meat products will remain affordable. MDM is a raw material used by the industry to manufacture products such as hot dogs and chicken nuggets. The lowering of tariffs on MDM imports was among the concessions made by the Philippines in securing the nod of World Trade Organization (WTO) members to extend its right to impose quantitative restriction on rice imports. Agriculture Undersecretary for Policy and Planning Segfredo R. Serrano said concessionary rates on some agricultural products should automatically go back to the 2012 levels once Republic Act 11203 or the rice trade liberalization becomes effective on March 5. This was stipulated in Executive Order (EO) 23 issued by President Duterte, which extended the concessionary rates until June 30, 2020, or when a law related to rice tariffication is enacted, whichever comes first. The Bureau of Customs (BOC) shall implement the tariff changes and no other requirements are needed to do it, Serrano added. The President could modify tariff rates as indicated in the Customs Modernization and Tariff Act provided that any adjustment underwent due process and was recommended by the Neda. Furthermore, the President could only exercise such power when Congress is not in session. Congress is currently on a break and sessions would resume on May 20. However, the United Broiler Raisers Association (Ubra) is opposing the proposal of the CTRM to implement a tariff rate lower than 40 percent on MDM. Ubra President Elias Jose Inciong said a 40-percent tariff would not have an impact on inflation, citing an assessment made by the Bangko Sentral ng Pilipinas (BSP). “The processors could not dispute our numbers. This, of course, assume that they are following the industry health standard of a 20-percent maximum inclusion rate,” Inciong told the BusinessMirror. “Also, the processors failed to show any benefit to the consumers because of the absence in the labels of the inclusion rate. Price is what you pay, value is what you get,” he added. If the government will not revert the MDM tariff to 40 percent, Inciong said his group would make an appeal to the President. “The government will be throwing away potential revenues of P4.5 billion without any clear benefit to the consumers,” he said. He explained that the Tariff Commission found that reverting tariffs on MDM imports to its 2012 level of 40 percent would not have a “substantial” economic impact. A farmer uses a hand tractor with a three-disc plow attachment developed by the Philippine Rice Research Institute. The Philippine Center for Postharvest Development and Mechanization (PhilMech) vowed to use the funds it will receive under the rice trade liberalization law to raise farm mechanization level to 4 horsepower per hectare (hp/ha) by 2024. PhilMech Applied Communication Division Chief Rodolfo P. Estigoy said the attached agency of the Department of Agriculture (DA) wants to increase the current 2.31 hp/ha mechanization rate in six years. Estigoy said this will be made possible by the P5-billion subsidy that PhilMech would receive under Republic Act (RA) 11203. The money, he said, would be used to grant equipment to farmers in 57 major rice-producing provinces. “We are optimistic that we will reach the 4 hp/ha farm mechanization level after six years,” he said in an interview with the BusinessMirror on Sunday. Under the RA 11203 or the rice trade liberalization law, PhilMech would receive P5 billion or half of the P10-billion rice competitiveness enhancement fund (RCEF). The allocation is aimed at hiking the mechanization level of rice farmers by giving them farm equipment. Estigoy said PhilMech is planning to distribute “packages of technology” to at least 200 municipalities this year and is targeting to cover 1,200 municipalities and cities over the next six years. The package of technology that would be provided to farmers’ organizations, cooperatives, and irrigators’ associations would include farm equipment that they could use for land preparation and even for milling and drying, according to Estigoy. He said some of the equipment that may be distributed to farmers include tractors, mechanical transplanter, combined harvester, dryers and even rice mills. PhilMech expects to start distributing equipment to farmers by the fourth quarter of the year. Estigoy said it would take time for the agency to procure the equipment given the procurement rules that it must observe. “The equipment will be distributed to farmers in time for the second rice cropping season or the main cropping season,” Estigoy added. He said PhilMech would form a separate project implementation team that would focus on fulfilling the agency’s role under RA 11203. The agency will hire at least 50 people to form the team. Estigoy also said PhilMech may divide the Philippines into five zones to fast-track the distribution of farm machinery: Luzon A and B, the Visayas, Mindanao A and B.
RA 11203 converted the quantitative restrictions (QR) on rice into tariffs. It also mandated the government to set up the RCEF which would consist of tariffs collected from rice imports. The Philippines scrapped the non-tariff measure after more than two decades when the special waiver on the special treatment on rice lapsed on July 1, 2017. Economic managers pushed for the removal of the rice QR as the non-tariff measure made milled rice more expensive. They projected that the scrapping of the QR would slash rice prices by as much as P7 per kilogram. NEW DELHI – Prices of wheat fell in key spot markets as flour millers and wholesalers trimmed purchases at higher prices, traders said. A marginal rise in arrivals also weighed on prices, they said. The decline in prices was, however, limited as the good-quality new crop saw better offtake than the old crop from last year, they said. "The demand for the new crop is seen firm in the coming days as bulk buyers will have to buy the new crop from spot markets until the government starts offloading new crop stocks at cheaper prices," a trader based in Indore, Madhya Pradesh, said. The government will start procuring the new wheat crop in April. In Indore, arrivals rose by about 100 bags to 1,700 bags (1 bag = 100 kg) today, while in Kota, Rajasthan, arrivals were pegged at 1,600 bags compared with 1,500 bags on Thursday. Meanwhile, spot maize prices extended gains as demand from feed manufacturers remained firm, traders said. Bulk buyers are aggressively buying the commodity due to fear of a severe supply crunch, they said. Prices are, however, likely to soften going ahead as end-users have also started importing maize as spot prices rose sharply, traders said. In Nizamabad, Telangana, arrivals were pegged steady at 500 bags (1 bag = 100 kg) and in Davangere, Karnataka, arrivals were at 450 bags, steady from the previous day. Basmati 1121 paddy prices rose marginally as mill purchases picked up, traders said. "Purchased gained pace as rice millers and exporters are replenishing stocks," a trader based in Amritsar, Punjab, said. Archaeologists have found crop seeds as old as 2,500 years in Bogura's Mahasthangarh. They believe it will help them discover many aspects of ancient Bengal's agricultural practices and environmental condition. This is the first time archaeologists are researching crop seeds to determine Bangladesh's ancient civilisation, Mizanur Rahman Zami, assistant professor at Jahangirnagar University's Archaeology department, told The Daily Star recently. Zami led a team of archaeologists that found the seeds through an excavation carried out between February 3 and 23. The team included 30 students from the JU department and officials from the government's archaeological department. Digging 4.3 metres into the ground, the team collected nearly 10,000 crop seeds, including that of rice, corn, beans, chickpeas, lentil, muug daal and cotton, he said. “Analysing those crops, it's possible to know many crucial information, including the climatic condition of that period. It will also reveal information about human migration through Bangladesh and give a clear concept about ancient Bangladeshi civilisation,” he said. The team also found artifact like pieces of earthen Northern Black Polished Ware (NBPW) which dates back to around 2,500 years. “So we get a relative date of those crops that used to be cultivated in those areas at least 2500 years ago. We could get older evidence if we excavated further,” said Zami, who did his post graduation on Environmental Archeology from London School of Archeology. The archaeologist thinks the most significant discovery of the excavation was finding some samples of Oryza Sativa Aus rice, one of the three wild rice varieties of Asia, which researchers believe could have its origin in Bengal and Assam. There are two other wild rice varieties – Oryza Sativa Japoica which originated in China nearly 12,000 years ago and Oryza Sativa Indica nearly 10,000 years ago in the Ganges plain of northern India. All the rice varieties available now came from those three wild varieties. But researchers are still not certain about the origin of 'Aus' wild rice variety. The research can prove that Pundru civilization (in Bogura) is older than what was thought earlier (around 2000 years). It may also prove that there was an agro-based village civilisation in that area before urban settlement replaced it. Zami said he would soon take the samples to a laboratory in the UK for testing. After analysis of the DNA and isotope of the samples, it would be possible to get an idea about the crop pattern, agriculture method, food habit and many other indicators of the civilisation of the ancient Bengal, he said. It will also give a clear idea about the environment and climatic condition of that period, he said, adding that analysis of the crop would also help reveal the route of human migration through Bengal. “Because people stopped migration when they started living in a certain place and domesticated the wild crop. It helped civilisation to evolve,” he said. Asked, eminent archaeologist Prof Sufi Mustafizur Rahman of Jahangirnagar University, said archeological evidence like palace, temple and mosque usually gives a glimpse of the history relating to kings and emperors. It does not give any idea about the common people, their agricultural practices, culture and how their civilisation evolved. “But research on crop seeds, pollens from the ancient period gives us that opportunity to know the history of environment. 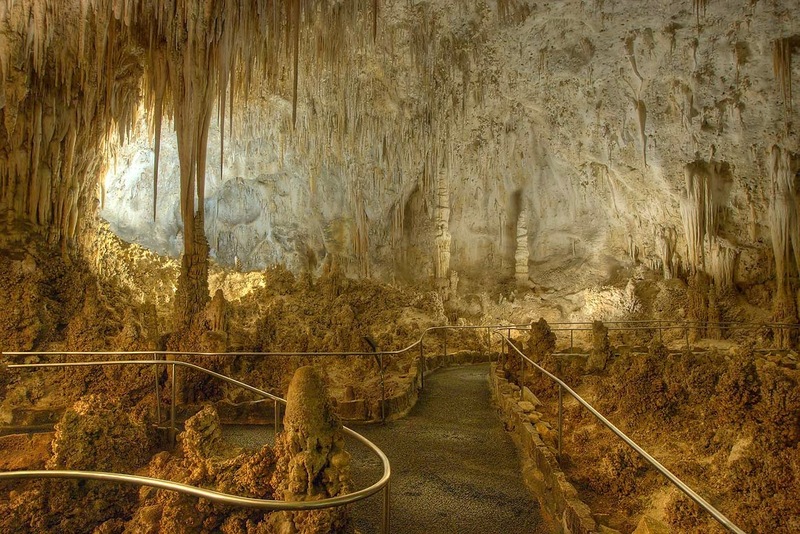 It helps us determine when and from where people came and also the climate of a particular period,” he said. “This research is also important as it will help claim intellectual property right upon any certain crop if we could prove that that particular crop originated from our land,” added Sufi Mustafizur Rahman, who has long been working on the archeological sites at Wari Bateshwar and Bikrampur. Still pending at the WTO is a companion U.S. complaint against Chinese controls on imports of corn, wheat, and rice. Both complaints were filed in the closing months of the Obama administration after farm groups and trade officials had spent years compiling evidence of trade violations. U.S. wheat groups, for example, said China set a support price of $10 a bushel for wheat for its farmers, far higher than the world price. Countries are given “a reasonable period of time” to comply with WTO rulings. If they do not, the winner can apply retaliatory tariffs on products from the offending nation. When it turned to the WTO in September 2016, the U.S. said Chinese subsidies for domestic wheat, corn, and rice production in 2015 were $100 billion larger than the limits China accepted when it joined the WTO. The WTO dispute settlement panel, which began work in June 2017 after fruitless U.S.-China consultations, concluded that China’s wheat and rice supports exceeded the level allowed by world trade rules. China had pledged that its supports would not exceed 8.5% of the value of the crops. The WTO panel did not rule on corn because China changed its support system after the 2015 harvest, so the U.S. complaint was moot. Lighthizer’s office said the WTO ruling was “a significant victory for U.S. agriculture that will help American farmers compete on a more level playing field.” China has 60 days to appeal the ruling. “U.S. farmers have been hurt by China’s overproduction and protectionist measures for too long, and it’s past time for China to start living up to its commitments,” said Vince Peterson, head of U.S. Wheat Associates, an export promoter. China’s subsidies cost U.S. wheat growers up to $700 million a year by encouraging domestic production and depressing world wheat prices, said the group. Trade group USA Rice said the WTO ruling could encourage other nations to reform excessive support programs. “With about half of our crop exported in any given year, these steps toward leveling the international playing field have enormous consequences for us,” said USA Rice Chairman Charley Mathews, a California grower. China used to be the No. 1 customer for U.S. ag exports, especially soybeans. It is forecast to be No. 5 this year due to retaliatory tariffs. In December 2016, the U.S. followed up its complaint about China’s crop subsidies with a WTO complaint alleging China had unfairly manipulated its tariff system to limit imports of U.S. corn, wheat, and rice. Farmers lost $3.5 billion in sales, the complaint said, because of the “opaque and unpredictable management” of tariff-rate quotas, which allow a specified amount of a commodity to enter at reduced tariff rates. The end result was that China kept the volume of corn, wheat, and rice imports below the level that was supposed to be allowed to enter at the lower rates. To read the WTO panel decision, click here. MANILA – A total of P5 billion was already released to assist farmers, with another P10 billion to be released once revenue is realized from the Rice Tariffication Law, the administration’s economic cluster said Thursday. The P5 billion was released to the Department of Agriculture (DA) through a Special Allotment Release Order (SARO) last December 2018, according to the Departments of Finance, Budget and Management (DBM), and the National Economic and Development Authority (NEDA). “This program is complementary to the Rice Tariffication Law’s Rice Competitiveness Enhancement Fund, or RCEF, a P10-billion fund that will help farmers transition to a new rice regime,” the agencies said in a joint statement. On Feb. 15, presidential spokesperson Salvador Panelo confirmed that President Rodrigo Duterte signed into law the measure removing quantitative restrictions on rice imports. The measure allows unlimited importation of rice as long as private sector traders secure a phytosanitary permit from the Bureau of Plant Industry and pay the 35-percent tariff on shipments from Southeast Asia. The law earmarks P10 billion for the RCEF, of which P5 billion will be allotted to farm mechanization and P3 billion to seedlings. The fund intends to ensure that rice imports won’t drown out the agriculture sector and rob farmers of their livelihood. “We are listening very carefully to the concerns of our farmers. Some are worried that the RCEF is an unprogrammed fund, which can only be released once there is excess revenue,” said Budget secretary Benjamin Diokno. “We will make sure that a minimum of P10 billion is made available for the RCEF per year in farmer support programs even if tariff collections are less than expected,” he added. RCEF will also be used to procure farmer tools and equipment and assist in the production, promotion, and distribution of rice seeds, upgrading of post-harvest storage facilities, and research and development, among others. “P5 billion was released in December 2018 to help protect farmers through the National Rice Program. Another P10 billion will be released through the RCEF once excess revenue collection is realized from the tariffs on rice imports,” said Socioeconomic Planning secretary Ernesto M. Pernia. “The RCEF will ensure that protection will go to farmers through direct support programs. We will make certain that affected farmers will receive proper and adequate support as they transition to a new regime. We will also establish transparency and grievance mechanisms for this purpose,” he added. Once implemented, the Rice Tariffication Law could reduce inflation by 0.8 percentage point, the Bangko Sentral ng Pilipinas (BSP) said last year. “On economic impact, liberalizing the rice sector could also translate into upgrades from credit rating agencies, thus lower borrowing costs for the country, besides making it more attractive to investors,” said Finance secretary Carlos Dominguez III. MANILA -- With the implementation of the Rice Tariffication Law starts on March 5, the national government has assured that there will be no more smuggling of the staple food as importation will be open to everybody. "Rice tariffication will eliminate rice smugglers as anyone can now import rice, the importer just needs to get sanitary and phytosanitary permit from the Bureau of Plant Industry (BPI) under the new law," said Finance Assistant Secretary Tony Lambino at the Pandesal Forum on Friday. Lambino said the main objective in opening up rice importation will benefit more than 100 million Filipino rice consumers as prices are estimated to go down by PHP2 to PHP7 per kilo. In January this year, the NFA again imported 555,696 MT but So said "this did not benefit the Filipino consumers as the price of rice was still high." On the other hand, Lambino said despite lifting the quantitative restrictions (QR) on rice, the most important role of the NFA under the new law is on "emergency buffer stocking" to ensure rice availability in calamity-hit areas. "The NFA has an important role under the new law which is the emergency buffer stocking role, para kung may masalanta sa kahit saang lugar sa Pilipinas ay mayroong emergency stock," he said. "The challenge for the NFA is to manage the (emergency) buffer stock well and to be logistics expert, meaningdapat makarating ang bigas doon sa mga lugar na pinaka nangangailangan (the supply should reach those who need them the most)," he added. Lambino also admitted that the rice trade was "mismanaged" and this resulted in debt of PHP145 billion by the NFA. "The inefficiency in the rice trade has resulted in two things -- one, our farmers have not been supported to the level that they shoud be. Second, nagkautang ang taongbayan (the country was in debt) as of the latest count PHP145 billion due to NFA's inefficient management of rice trade," he noted. Because of the Rice Tariffication Law, Lambino said, the regulatory functions of the NFA was removed except for the emergency buffer stocking. MANILA, Philippines — The Bangko Sentral ng Pilipinas (BSP) said inflation likely eased further in February to a range of 3.7 to 4.5 percent amid the steady decline in the prices of rice and other agricultural products. According to the central bank’s Department of Economic Research (DER), the higher domestic oil prices and the upward adjustment in electricity rates provided an upward price pressures on inflation last month. The BSP economists said the upside pressures were partly offset by lower prices of rice and other agricultural commodities given the appreciation of the peso and ample supply, particularly of rice following the recent harvest and arrival of rice imports. Inflation has steadily decelerated for the third straight month to a 10-month low of 4.4 percent in January after peaking at 6.7 percent in September and October. Based on its latest assessment, the BSP sees inflation easing to 3.2 percent this year and three percent in 2020 after accelerating to 5.2 percent last year from 2.9 percent in 2017, exceeding the central bank’s two to four percent target, due to elevated oil and food prices as well as weak peso. This paved the way for a tightening cycle wherein benchmark rates were raised in five straight rate-setting meetings from May to November to prevent inflation from spiraling out of control. Easing inflation, however, allowed monetary authorities to take a breather from its tightening episode to allow the economy to absorb the rate increases. The BSP expects the signing of Republic Act 11203 or the Rice Tariffication Act would reduce inflation by 0.6 percentage points this year and 0.3 to 0.4 percentage points next year. STATE ECONOMIC MANAGERS are keeping their 2-4% inflation target until 2022, as the overall increase in prices of widely used goods is expected to moderate further. In a central bank statement sent late Thursday, the Development Budget Coordination Committee (DBCC), in coordination with the Bangko Sentral ng Pilipinas (BSP), said the target was set through DBCC Resolution No. 2019-1 dated Feb. 26. The DBCC said the 2-4% target band approved by the government continues to be an “appropriate quantitative representation” of the medium-term goal of price stability. “The BSP’s latest inflation projections indicate that inflation is likely to return to the target range over the medium term as the impact of supply-side shocks dissipate,” the statement read. The central bank expects inflation to ease to 3.1% this year, well within the target band, from the a 5.2% average in 2018. Inflation hit a nine-year-high 6.7% in September and October but has been easing since, hitting 4.4% in January. The BSP said on Thursday that it expects February inflation, which the Philippine Statistics Authority will report on March 5, to have slowed further to 3.7-4.5%. February last year saw inflation clock in at 3.8%. “Improved productive capacity of the economy, fueled by higher infrastructure investments by the national government, supports achieving robust economic growth amid a low and stable inflation environment,” the BSP said in its statement, noting that the recent inflation surge had been driven “largely by transitory supply-side factors” which the Executive branch had moved to address in September. BSP Assistant Governor Francisco G. Dakila, Jr. had said after the Monetary Board’s policy meeting on Feb. 7 that inflation is now expected to return to below four percent by this month. “Non-monetary measures have also been deployed by the NG to address supply shocks directly in the short run and the structural problems in the food/agriculture industry in the long run,” the DBCC added. The rice tariffication law signed by President Rodrigo R. Duterte on Feb. 14 liberalizes importation of the staple by replacing quantitative restrictions on rice imports with tariffs: 35% for rice coming from within the Association of Southeast Asian Nations (ASEAN); 40% for imports within the 350,000 metric-ton minimum access volume (MAV), regardless of country; and 180% for above-MAV imports from non-ASEAN countries. The relaxed rules on rice importation, which take effect on March 5, are expected to cut retail prices of the staple by up to P7 per kilogram and inflation by 0.7-0.8 percentage point. Sought for comment, Union Bank of the Philippines, Inc. Chief Economist Ruben Carlo O. Asuncion said the decision to maintain the 2-4% inflation target range until 2022 may have stemmed from the longer-term prospects of global oil production. “2019 may pose more price volatility, especially this first half of the year, but H2 (second half of the year) and potentially the next three years see a surge in global oil production coupled by the surprisingly resilient US shale oil production,” Mr. Asuncion said in an e-mail. Rizal Commercial Banking Corp. economist Michael L. Ricafort said the government’s non-monetary measures to combat inflation “give further affirmation to the possible attainment of the 2-4% inflation target” up to 2022. Earlier, the district administration had raided five mills of Koraput district being managed by leaders of District Millers Association. JEYPORE: ACTING on allegations of large scale irregularities by rice millers in paddy procurement, Vigilance officials raided two mills in the district. Farmers had lodged a complaint with Jeypore Vigilance SP alleging that millers of SLVN rice mill at Kumuliput and Binayak rice mill at Digapur had illegally stocked more than permissible limit of paddy by manipulating farmers documents. Vigilance officials and District Civil Supply Officials raided these two rice mills and verified paddy stocks. It was found that the millers had stocked in excess of targeted procurement and the stocks were not correctly reflected in their records. Besides, paddy was being packed in polythene bags instead of gunny sacks. The documents were seized for further investigation.Vigilance SP Hare Krushna Behera said exact amount of excess paddy stocked by millers will be known after District Civil Supply department submits its report. 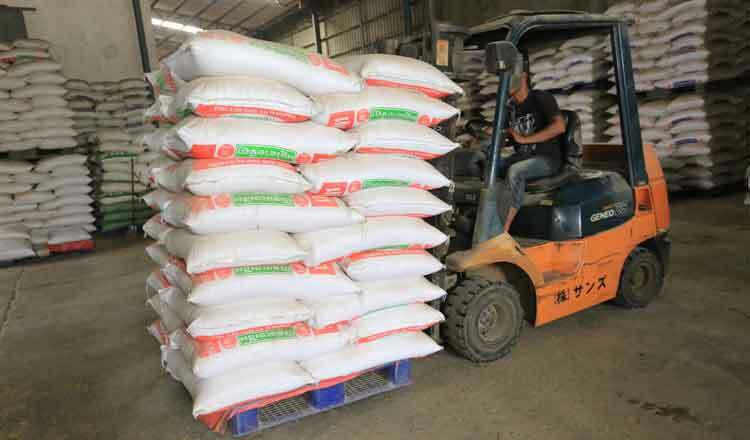 Despite difficulties in rice export and consumption in recent years, the country’s rice sector is forecast to gain ground this year, with outbound shipments showing signs of improvement. A report released at a conference on rice production and consumption in the Mekong Delta in Dong Thap Province today, February 26, showed that the prospect of Vietnam's rice exports will be bright in the years to come. Nguyen Ngoc Nam, chairman of the Vietnam Food Association, said that the nation's outbound rice shipments are expected to amount to six million tons this year, unchanged from 2018. Rice export contracts are seen increasing in the second quarter of this year due to the competitive prices of Vietnamese rice and the rising rice demand of China, the Philippines, Indonesia and Malaysia, he said. In particular, the Chinese market’s rice imports are forecast to inch up by an additional 200,000 tons to 5.2 million tons from the five million tons recorded last year, with Vietnam, Thailand, Cambodia and Myanmar as its major rice suppliers. Nam said that of the total 5.2 million tons to be imported in 2019 by China, half could be distributed to State enterprises and the remaining 50% to private firms. “Some sources said that China will continue purchasing rice from Vietnam, but the volume will be lower than in 2018,” he noted. As for Indonesia, Nam said, its rice imports in 2019 are predicted to plunge to 800,000 tons against the 2.15 million tons recorded last year. Indonesia will start to import rice in July. Meanwhile, the Philippines is expected to buy 2.3 million tons this year, opening the door for Vietnamese rice exports. Nam said that on February 15, the president of the Philippines issued a regulation allowing private firms to import rice without quantity limits. As such, 180 Filipino private enterprises have registered to import 1.2 million tons of rice from Vietnam to date, showing that the Filipino market continues to have potential. Further, Vietnam’s white rice prices are more competitive than those of Thailand, attracting Malaysia, which is forecast to import 950,000 tons of rice this year. Bui Thi Thanh Tam, general director of the Northern Food Corporation (Vinafood 1), said that Vietnam’s rice importers are in the process of purchasing rice, adding that Vinafood 1 has signed deals to buy rice from its foreign partners. Tam added that the Mekong Delta region has seen a fall in rice prices in recent years owing to an imbalance in supply and demand. Le Minh Hoan, Party secretary of Dong Thap Province, said that through the conference, all hindrances to the winter-spring rice crop are expected to be lifted. It is necessary to map out a long-term plan for the sustainable development of the sector so that obstacles in terms of production, credit systems, science and technology can be removed and the country’s rice exports can be maintained stably. Hoan said that the prime minister has issued a directive asking the relevant ministries and departments to urgently handle the rice glut to ease the hardship faced by farmers. Hoan, however, stressed that rescuing rice farmers should not recur repeatedly. Individual production should be eliminated, Hoan said, adding that cooperative production is an efficient structure in the agriculture sector, boosting the stability of rice production and consumption and reducing pressure on farmers, as well as eliminating the need to rescue rice farmers, as seen year in, year out. A rice production alliance would help farmers gain profits from production and value chains and cut production costs, he explained. The Ministry of Agriculture and Rural Development, the Ministry of Industry and Trade, the State Bank of Vietnam and the Dong Thap government on February 26 co-organized a conference to discuss and assess rice production and consumption and finding ways to promote the rice sector and rice exports of the Mekong Delta in particular and Vietnam in general. Soldiers from India and Pakistan have targeted each other along the volatile frontier in disputed Kashmir, killing at least four civilians and wounding four others, officials said. The three died after a shell fired by Pakistani soldiers hit their home in Poonch region near the so-called Line of Control that divides the Himalayan territory of Kashmir between the two nuclear-armed rivals, police said. The children’s father was critically wounded and has been hospitalised. In Pakistan-controlled Kashmir, government official Umar Azam said Indian troops with heavy weapons “indiscriminately targeted border villagers” along the Line of Control, killing a boy and wounding three others. He said several homes were destroyed by Indian shelling. Both countries’ officials used the routine description for the military confrontations, saying their soldiers retaliated “befittingly”, and blamed the other for “unprovoked” violation of the 2003-ceasefire accord at several sectors along the Kashmir frontier, targeting both army posts as well as villages. The violence this week marked the most serious escalation of the long-simmering conflict since 1999, when Pakistan’s military sent a ground force into Indian-controlled Kashmir at Kargil. That year also saw an Indian fighter jet shoot down a Pakistani naval aircraft, killing all 16 on board. On both sides of Kashmir, thousands of people have fled to government-run temporary shelters or relatives’ homes in safer areas to escape deadly and relentless shelling along the frontier. Many of these villages dot the rugged and mountainous frontier, which is marked by razor wire, watch towers and bunkers amid tangled bushes, forests and fields of rice and corn. India accuses Pakistan of arming and training rebels and sending them into Indian-controlled Kashmir to launch attacks against government targets. Pakistan denies the charge, saying it provides moral and diplomatic support to Kashmiris fighting for right to self-determination. Oil rich Kuwait is a country nestling at the top of the Gulf. Flanked by powerful neighbours Saudi Arabia, Iraq and Iran, its strategic location and massive oil reserves make it one of the world’s richest countries. A State with a Sunni Muslim majority and a US ally, Kuwait stands out from the other Gulf monarchies for having the most open political system. The Amir of Kuwait HH Sheikh Sabah Al-Ahmed Al-Jaber Al-Sabah has been ruling Kuwait since January 2006. He visited Pakistan in 2006, HH the Crown Price of Kuwait Sheikh Nawaf Al-Ahmad Al-Jaber Al-Sabah visited Pakistan in 2013 while the Speaker of the National Assembly of Kuwait Marzouq Al-Ghanem and the Air Force Chief also visited in 2015. HH Sheikh Sabah Al-Ahmad Al-Jaber Al Sabah served as Foreign Minister for over forty years during which time he was credited with shaping Kuwait’s Foreign Policy and steering the country through the Iraqi invasion in 1990. Pakistan and Kuwait enjoy strong bilateral, friendly, political, diplomatic, trade and cultural ties with enormous respect of commonality and cultural traditions. The bilateral relations exist at the Government, Armed Forces and masses level. Both the countries have stood for each other in testing times. Pakistan was among the first countries that sent troops to Kuwait during the Iraqi invasion in 1990. Nine Pakistani soldiers were martyred during landmines clearance operations in Kuwait. Kuwait also responded well to Pakistan and has been the first among countries that have ever extended generous help to Pakistan in difficult times. The Kuwait Government donated generously to Pakistan during the deadly earthquake in 2005 and at the time of devastating floods in 2010. Kuwait has contributed almost US $ 25 million to flood affected people of Pakistan. Presently, around two hundred thousand Pakistani expatriates in all fields of life are working in Kuwait. They remit around US $ 950 million a year to Pakistan. This is one of the important foreign exchange sources for balancing the external accounts of the country. In addition to the bilateral interactions of political leadership of both the countries, there are regular visits of Pakistan Army, Air Force and Navy high level personnel to Kuwait. Pakistan has also trained a number of Armed Forces officers of Kuwait in Pakistan. Both countries are part of a Joint Ministerial Commission, an active body extending its role towards further strengthening and extending bilateral relations in all fields. Although Pakistan-Kuwait political and diplomatic relations historically remained very strong, however, bilateral economic cooperation has not progressed much. The volume of investment, business and trade needs to get enhanced. There are several reasons which characterize the certain geopolitical, strategic and security obstacles. Bilateral trade volume between the two countries almost touches US $ 2.5 billion a year, though it is far from satisfactory level relative to their size and composition of domestic production and external trade volumes. Pakistan is largely importing crude oil from Kuwait and Kuwait mainly imports, fruit, vegetable, rice and cotton products. The current Kuwaiti Ambassador to Pakistan HE Nasser Abdul Rahman Almutairi and Deputy Head of Mission Khalid Jassim Alyasin, are playing very active and commendable role towards enhancing and strengthening bilateral political, diplomatic, trade and cultural relations. They have taken a number of initiatives during their tenure as Ambassador and Deputy Head of Mission of Kuwait to Pakistan. With their efforts, a large number of Kuwaiti businessmen have shown significant interest in Pakistan which is highly laudable. Because of their efforts, a large number of trade groups from Pakistan such as rice exporters and Chambers of Commerce have also been invited to exchange their business interests with Kuwaiti entrepreneurs and counterparts. The Kuwaiti Emir helping to mediate the conflicts is regarded as one of the region’s wise, experienced figures. Kuwait’s paramount approach to the Qatar dispute is to play the role of a cautious but effective mediator. Kuwait has garnered substantial international support for its role, which in turn has provided an added layer of security for the country. For the attainment of peace elsewhere the Emir HH Sheikh Sabah has always been playing his role as a politician and mediator. While Kuwait’s mediating tradition stretches back decades, it has carried special meaning in the years following the country’s liberation from Iraq. The Emir himself was a leading figure in Kuwait’s restoration after liberation. In this context, Kuwait is also emphasizing the need for stability and peaceful relationships between Gulf Cooperation Council members. The country’s Emir is extremely concerned over unprecedented developments and called for preserving Gulf unity and ending the rift through dialogue. Rightly, dialogue is the ultimate of every conflict no matter it is Middle East, Cyprus, Catalonia, Palestine or Pakistan-India over Indian occupied Kashmir. Wars end at dialogue elsewhere. Influential world leaders like, Prince Mohammed Bin Salman, Recep Tayab Erdogan, Sheikh Sabah Al Ahmad Al Jaber, President Putin, President Xi Jinping and President Donald Trump should play mediatory role to resolve Kashmir and Palestine issues which has pushed Middle East and Pakistan and India in devastating wars. Even Mahmoud Abbas, President of the State of Palestine, has shown his deep concern and worry over recent tension between Pakistan and India. He urged India and Pakistan to exert all efforts possible to defuse the crisis and not resort to escalation, in order to preserve good neighbourhood and serve the best interest of both the nations and the whole world. All of these world leaders have experience of facing war conflicts so they know the complications and devastations of the wars. They can help in the resolution of international conflicts amicably. Same international community should come forward and play positive role in the resolution of these conflicts as Afghan issue is being resolved. A Bicol lawmaker is prodding the 14 government agencies tasked to draft the implementing rules and regulations (IRR) of the Rice Tariffication Act to work double-time, and beat the 45-day deadline set by the law in order to avoid a repeat of the fiasco that was the implementation of the Ease of Doing Business (EODB) Act. Camarines Sur 2nd district Rep. LRay Villafuerte said that while one of the most important aspects of the Rice Tariffication Act—the opening of the domestic rice market to private traders–would already come into effect by March 5, other provisions of the law need to be threshed out through the IRR. This includes the need for the National Food Authority (NFA) to maintain a nationwide rice buffer stock, the imposition of special rice safeguards, and mechanisms to ensure the effective implementation of programs under the Rice Competitiveness Enhancement Fund (RCEF) for the benefit of the country’s palay (unmilled rice) growers. Under Republic Act (RA) 11203 or the Rice Tariffication Act, 14 government agencies led by the Department of Agriculture (DA), Department of Budget and Management (DBM) and the National Economic and Development Authority (NEDA), after consultations with affected stakeholders, are tasked to promulgate the IRR of the law 45 days from its effectivity. “The swift crafting of the IRR for the Rice Tariffication Act will enable the government to carry out President Duterte’s overriding objective of signing this into law, which is to dramatically pull down the retail cost of rice and prevent a repeat of the elevated inflation rate last year,” said Villafuerte, a co-author of RA 11203. The NFA Council, which convened last February 18, set an initial deadline of completing the IRR and have it published in the Official Gazette by the third week of March, or well within the 45-day deadline set under the law. Aside from the DA, DBM and NEDA, the other government agencies, which will be involved in crafting the IRR, are the Land Registration Authority (LRA), National Irrigation Administration (NIA), Land Bank of the Philippines (LandBank), Agricultural Training Institute (ATI), Department of Agrarian Reform (DAR), Philippine Rice Research Institute (PhilRice), Development Bank of the Philippines (DBP), Philippine Crop Insurance Corporation (PCIC), Department of Environment and Natural Resources (DENR), Technical Education and Skills Development Authority (TESDA), and the Philippine Center for Postharvest Development and Mechanization (PhilMech). Villafuerte earlier lashed out at the Department of Trade and Industry (DTI) and Anti-Red Tape Authority (ARTA) for bungling the speedy implementation of the Ease of Doing Business (EODB) Act with their failure to submit the complete set of the law’s IRR to Malacañang the first time around in October last year. ARTA conducted consultations on the EODB Law’s IRR as recently as last February 13, or four months after the October 30 deadline for the submission of such guidelines, as set in the EODB Act. Villafuerte said lifting quantitative restrictions (QRs) on rice, which will liberalize the entry of relatively cheaper imports, is the “logical sequel to the decisive measures that the President took last year to rein in inflation,” which was largely driven by the price spiral in rice and petroleum products. The solon recalled that President Duterte carried out a set of administrative and non-monetary measures last year to reduce the gap between the farmgate and retail prices of rice and other food items–leading to a steady decline in inflation to 5.1 percent in December and an even lower 4.4 percent in January. Under the Rice Tariffication Act, a tariff of 35 percent will be imposed on imported rice originating from ASEAN countries. For countries outside ASEAN, the tariff is 40 percent within the 350,000 metric ton (MT) minimum access volume (MAV), and 180 percent if above this MAV quota. The law also earmarks P10 billion for the RCEF, of which P5 billion will be allotted to farm mechanization, P3 billion to seedlings and P1 billion to expanded rice credit assistance. CamSur rose to become the No. 4 rice-producing province on Villafuerte’s watch as three-term governor prior to his election to the House of Representatives. You don't need fancy equipment to make this staple. I've made rice roughly a billion times in my life, and I have never used a rice cooker to do it. I understand why the appliance is so popular—it's efficient and you can use it to make a lot more than just rice—but I also know that you definitely don't need expensive machinery to cook rice. As a matter of fact, all you really need is a stovetop, a pot with a lid, and a bit of water, which are likely things you already have in your kitchen anyway. The fact that you don't need any special equipment to make great rice is part of why budget bloggers love it so much. It will always be a great way to substantiate any meal, whether that's soup, or roasted veggies, or a curry, and even the fancier varieties of rice never cost very much. Plus, the ingredient lends itself well to meal prepbecause it can stay good in the refrigerator for a few days, and you can make it taste like it's fresh off the stovetop with a super simple trick (more on that in a minute). Start making perfect rice with this little guide I've put together, based on what experts have told me and what I've learned from doing it myself over and over again. There are several common varieties of rice, but you can use the same techniques to cook all of them. Jasmine, basmati, and brown rice are the best varieties to cook on the stove, and they're the most common ones you'll see at the grocery store, too. In general, you can use approximately the same method for all of them to achieve a perfect final product. For the different kinds of white rices, Mike Le, cocreator of I Am a Food Blog, tells SELF that you can use the same timing and ratio no matter which one you're using, and I can personally vouch for that. You can also use the same measurements for brown rice, but it will need about twice as long on the stove because it still has an outer bran layer (which is removed from white rice during processing). Before you start cooking, gather your tools and rinse your rice. To make rice on the stove, all you'll need is a small pot with a lid, a wooden spoon, a fork, and a cup to measure the rice with. Before you begin cooking the rice, you should rinse it first, Maxine Yeung, R.D., trained pastry chef and owner of The Wellness Whisk, tells SELF. This helps wash away any grime and extra starch in order to prevent the rice from becoming too sticky, she explains. In general, you should use a ratio of about 1 1/2 cups water to 1 cup rice. This ratio will work no matter what type of rice you're cooking, and you can adjust it based on how chewy or soft you usually like your rice. If you prefer an al dente texture, use less water or a ratio of 1 1/4 cups water to 1 cup rice, and if you prefer it on the softer side, use more, about 2 cups water to 1 cup rice. The nice thing is that you can always fix it up with a bit of water, says Yeung: If you notice the rice isn't soft enough for your preference, you can add however much water it seems like it needs (which is usually not very much), put the lid back on, and let it cook for a few minutes longer. If you want to add a bit of flavor to the rice as it cooks, consider more than just salt. I've always added a small pinch of salt to my pots of rice, because I've found that it emphasizes and enhances the rice's natural flavor without making it salty. However, the experts I spoke with told me you definitely don't need to use salt to make rice that tastes great. Le loves the pure flavor of rice, especially when it comes to the high-end Japanese options, he explains. And Yeung prefers to let the food she serves alongside the rice take care of the seasoning for her. "I typically don't add salt to my rice because the other parts of the meal, such as the marinade or sauce, usually have enough seasoning," Yeung says, "and I like the balance the unseasoned rice adds to the meal." There are also other ways to add flavor to your rice during the cooking process that don't involve any salt. Yeung likes to toast her grains in a bit of oil and spices before she adds water, which gives the rice earthy and nutty notes. Le likes to cook rice in a liquid other than water, like chicken or seafood stock—you could even cook it in coconut milk if you want. As long as you stick to a simple ratio of rice to liquid, feel free to get as creative as you want. Bring the water and rice to a boil at the same time, then lower the heat and cover. Set a timer and resist the urge to take a peek while it's cooking. To cook rice, Le always follows the same process: He brings the rice and water to a rolling boil, then puts on the lid, drops the heat as low it can go, and sets a timer for 17 minutes. (For brown rice, let it cook for 30 to 40 minutes). Once the timer goes off, he moves the pot off the heat and waits another 10 minutes before opening the lid. He says he does this because it's the steam that cooks the rice, not the boiling water. So if you lift the lid, even just for a second, that steam will escape and your rice may not cook properly. So whatever you do, don't lift the lid until the timer's up. At that point, if you notice it hasn't reached your desired texture, you can make adjustments from there, such as adding water and cooking it longer. Refrigerate your leftover rice in a sealed container and use this trick to quickly refresh it. According to the USA Rice Federation, cooked rice will stay good to eat for up to five days in the refrigerator. The longer it stays in the fridge, though, the more it dries out. Dried out rice is actually ideal for dishes like fried rice, which should have texture and shouldn't be mushy. But if you want leftover rice to taste like it's fresh off the stovetop, there's one little thing you can do. Add about a tablespoon or two of water in a bowl with your rice, cover it, and microwave it for about a minute. The steam will give it the same fluffy texture it had when it was fresh. On an average, India exported every year 49.79 billion cubic metres of virtual water (162 tmcft). But, the buffalo meat requires 16,840 cubic metres of water to produce one tonne of meat and sheep/ goat meat requires 11,879 metres cube of water to produce one-tonne meat. CHENNAI: India, one of the biggest beef and rice exporters of the world, is exporting 162 tmc ft of water every year in virtual form, researchers found out in a new study. As one of the measures to save depleting groundwater resources in the country, the researchers from Anna University have suggested the scaling down of the export of beef, rice, maize and other items to conserve groundwater. By using the data of exports and imports of food and livestock products of India, the researchers studied the virtual water trade from 2006 to 2016. The study on “Temporal variation in export and import of virtual water through popular crop and livestock products by India” was sponsored by the Department of Science and Technology, Government of India. It was found that India has exported 496.7 billion cubic meters of virtual water (the water required or consumed in the production of goods) during the study period. It has imported 237 billion cubic metres of water by importing products such as cashew nuts, pulses from 2006 to 2016. It also imported 23.72 billion cubic metres of water (77.8 tmc ft), thus becoming a net exporter with an average of 25.9 billion cubic metres of virtual water (roughly 84 tmcft) every year. “The maximum export of virtual water was mainly through rice, maize and buffalo meat while the imports were through cashews, pulses and wheat. The rest of the food items contributing negligible amounts,” Professor L. Elango from Anna University and leading researcher of the study said. Among the agricultural products, coffee and walnut, pulses and groundnuts, rice, maize and wheat require more water to get yield per one tonne. But, the buffalo meat requires 16,840 cubic metres of water to produce one tonne of meat and sheep/ goat meat requires 11,879 metres cube of water to produce one-tonne meat. “Though the water products for the crops is very high, the water requirement for producing meat and processed products consumes 5 to 20 times more virtual water per kg for compared to crop products. The water consumed by the animal from the day it is born until its slaughter is high which includes the water required for producing its feed, drinking, cleaning and servicing the land where the animal was raised,” researchers pointed out in the article published in a leading journal “Groundwater for Sustainable Development” recently. The per capita availability of surface water would considerably be reduced from 1902 cubic metre in 2001 to 1401 cubic metre in 2025 and 1191 cubic metre in 2050. “The use of groundwater for agricultural and farming purposes is about 85% and the remaining only is used for industrial and domestic purposes. Hence, it is important to reduce the export of products including rice, maize and buffalo meat which requires more water. The other way to reduce the export of water in virtual form from India is through the production of food products by water efficient methods,” Professor Elango said. Water efficient methods include effective irrigation techniques, proper irrigation scheduling, suitable crop selection according to the land, climate conditions and using alternative sources of water for irrigation. “Judicious mixing and growing of different crops with lower water demand at the national level need to be taken up to reduce the export of virtual water from India, especially in the current scenario of wide-scale depletion in groundwater resources and climate change induced rainfall variability,” Professor Elango said. Erratic monsoons, droughts, floods, increase in population, increase in mean atmospheric temperature and depletion of groundwater resources will intimidate food and livestock production. “Here, the need to keep up with the demand for export the producers will be forced to increase groundwater exploitation which will threaten the sustainable goals of the country,” the researchers warned in their study. This study will enable the water managers of the country to prioritise the export and import of products by considering virtual water form which will result in sustainable management of groundwater resources which is under threat in India. DAVAO CITY -- Agriculture Secretary Emmanuel Piñol assured farmers that the effects of the rice tariffication law are only temporary. During a consultation held in Davao City on Thursday, farmers from various parts of Mindanao expressed their apprehension with the law. “If there is an adverse effect, it will be temporary. Continue planting rice and don’t fear the influx of rice imports. If you stop planting rice and our production will decrease to 60 percent, surely the traders will manipulate the prices,” Piñol told the farmers. He also clarified reports that the current low buying price of unhusked rice is brought about by the rice tariffication law, saying it was not the case. However, Piñol told farmers that the influx of cheap imported milled rice could result to lower wholesale price of milled rice at PHP35.31 per/kg (from the average of PHP42.25 per/kg in 2018) and lower farmgate price at PHP16.94 per/kg (from an average of PHP20.43 per/kg in 2018). He also called on farmers to trust President Rodrigo Duterte, "who himself understood that it (rice tarrification) would be beneficial to all." He assured that the Department of Agriculture will continue to help farmers improve their competitiveness and farm income, enhance resiliency to disasters and climate risks, and ensure access to safe and nutritious rice. Piñol said rice farmers can avail of assistance from the Rice Competitiveness Enhancement Fund (RCEF), which has a PHP10 billion allocation from RA 11203 on top of the budget of DA’s Rice Program. Trapaing Thmar reservoir, the largest of the Khmer Rouge regime’s irrigation projects built atop the bones of the dead, is running dry amid one of the worst droughts to hit Cambodia in living memory. In northwestern Cambodia, over 400 kilometers from Phnom Penh, the vast protected area serves as a crucially important water store for thousands of rice farmers and their families in Phnom Srok district and other neighboring areas. Trapaing Thmar reservoir also provides a home to a number of endangered species, including the Sarus crane. During a recent visit to the area, farmers were fishing and pumping water to their rice field from small ponds that are all that remains of the more than 12,000-hectare reservoir. In Banteay Meanchey province’s Phnom Srok district, farmers complain that there is a scarcity of rain, both during the wet and dry season. “It is not like before. It is worse than ever,” says Ping Chantrea, a 30-year-old farmer who adds she can no longer produce enough rice. “It only rained twice during the wet season last year,” she laments from her home in Ponley commune’s Porabun village, as other farmers sit around and share their concerns over the lack of rainfall. “And now early this year until now, it has not rained at all,” said another farmer, who is at eight-months pregnant. “I lost the money I saved from my wedding,” she says. Cambodian farmers harvest rice in two seasons: the rainy and dry seasons. Farmers in this district have complained that production of paddy rice in both rainy and dry seasons has declined. Cambodia’s rainy season typically arrives in May and ends in October. Another farmer, Laing Thom, says the temperature is rising and the rains not regular. “Now it is only about 8 am, but it is very hot,” says Thom. Cambodia has been ranked among the countries most vulnerable to the impacts of climate change in Southeast Asia. The impacts may already be being felt. Thom says he cannot produce much rice on his 2.6-hectare farm. “I can’t make a profit, or even cover the cost of fertilizer,” he adds, complaining of price manipulation. On February 20, Prime Minister Hun Sen called on farmers to stop rice farming during the dry season this year due to the drought. “I want to call on all authorities to advise all people not to do dry-season rice farming... Please do farming only one time this year because we do not have enough water,” Hun Sen told thousands of garment workers in Kandal province, adding that Cambodia will face severe drought and water shortages this year. In a directive dated January 17, Hun Sen called on local authorities and villagers to save water from natural reservoirs for daily use and crops. Cambodia will likely be indirectly impacted by a phenomenon called El Nino, which refers to a short-term period of warm ocean surface temperatures in the tropical Pacific, stretching from South America towards Australia. Lim Kean Hor, minister of water resources and meteorology visited Trapaing Thmar reservoir in Phnom Srok district on the morning of February 23. He said villagers in Phnom Srok villagers had broken the rules by farming during the dry season, against the direction of the prime minister. “They have farmed more than the plan allowed. They were allowed to do only a total of 5,000 hectares of land,” said the minister. “We lack water,” he said, adding that rain might fall in mid-May. The drought has now affected over 20,000 hectares of rice fields in 13 provinces, according to the National Committee for Disaster Management. Mean Seum, chief of Chantrea’s Porabun village, said it is estimated that only 10 percent of the normal amount of paddy rice will be produced this year. Normally the migrant workers return to help their families with the harvest. “But they won’t come this year,” he added. Seum himself has three-hectares of land and rents two hectares for farming. But he cannot break even in the current climate, he says. “People also get angry with each other because some families get water for their rice fields and some don’t,” he adds. “It has affected species and fish in the reservoir as well. The climate has changed now. It is the worst in ten years,” he said. The reservoir can store up to 180 million cubic meters of water but now holds less than 1 million cubic meters, according to Dara. Villagers are also concerned about the impact on fish stocks. Having land to farm crops, especially rice, is the most important thing in many Cambodians’ lives. It is what gives them a sense of security, community, and family. Eighty-five percent of Cambodia’s approximately 16 million people still depend on subsistence agriculture for their livelihoods. Despite being aware of the water shortage, farmers in this district say they have decided to carry on farming through the dry season. “I could not make rice during the rainy season, so I decided to do in the dry season, but it was not successful,” says Chantrea. “I thought that the water in the reservoir was enough, but it was not because many farmers have done farming at the same time and the water is insufficient,” she adds. Deu Yuch, another farmer, says the poor farming conditions have led him to fall into $3,000 of debt. Some parts of the community have been provided water from an irrigation system built by Chinese investors. The water has been transported from nearby provinces -- Siem Reap and Oddar Meanchey -- according to Khut Khuon, a Poichar commune chief. Khuon says during the Khmer New Year farmers will hold a ceremony to pray for rain. “We will ask the Buddha to give rain,” he says. As the drought continues to blight the countryside, Chantrea says she is worried that it will get worse and she will not have enough water to farm in the wet season. Another farmer, Laing Thom, says rice farming is all the community knows. He said villagers would attend the ceremony at Khmer New Year to seek help from Tevada, a guardian angel figure in Khmer spiritual belief.